Weather | Rantings from a bored mind. I don’t like people littering, it is ugly and anti-social, so I was highly amused yesterday when I saw what I saw. Two teenagers walking along the road, and one of them has an empty can that he needs to get rid of, instead of waiting to find a bin he takes matters into his own hands and throws the empty can high into the air over a fence. The can then got caught by the wind and blew back hitting him in the face. There you go, Karma will get you. Waking up on another rainy morning we headed to Skye where we were throughly soaked and miserable on the first morning. 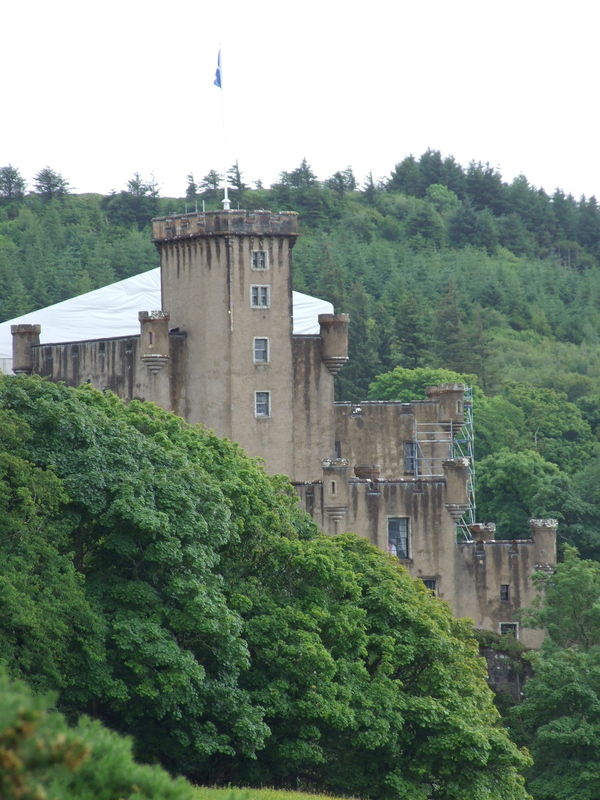 We decided to still make the best of it and see what would happen later in the day, so we headed off to Dunvegan Castle, which is the seat of the Clan Macleod, and is the oldest continuously inhabited Castle in Scotland. 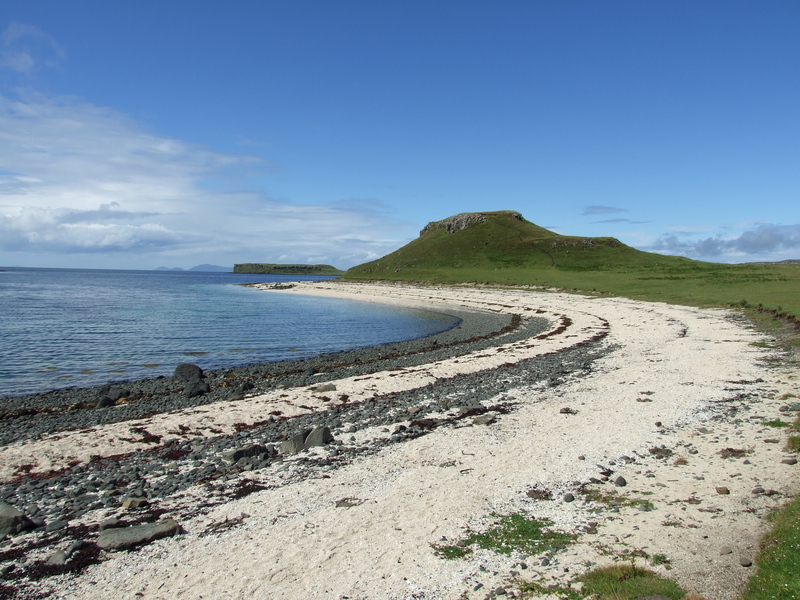 After mooching about for a while in the damp the sun came out, and came out strongly so we headed off to the Coral beaches to the North of the island. We parked the car up and wlaked about a mile an a half, to be met by a spectacular view that could almost be Carribbean. The white coral sand and the sun making everything look incredibly good. We sat for a while in the sun regaining our constitutions, before decidintg that it might actually be a good idea to go and put up a tent. 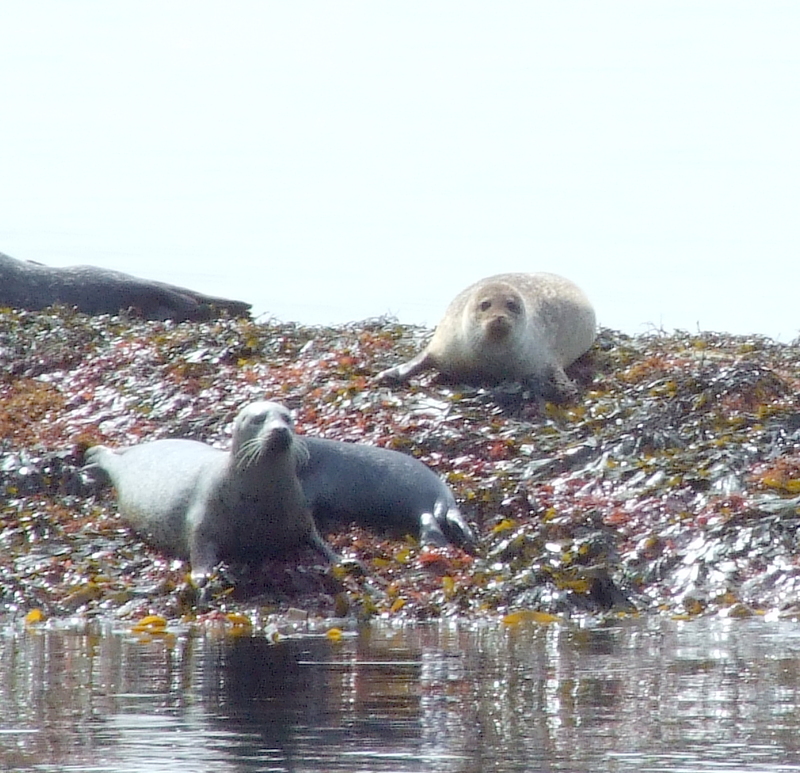 We woke up in brilliant sunshie on the Saturday, which was just as well because we had a Seal watching trip to Loch Coriusk booked. The entrance to the loch has a colony of Harbour Seals and you are almost guaranteed to see them, however it was beginning to look like they were all out hunting until we turned a corner to see tens of them basking on the rocks enjoying the sun, many of the mothers had young pups that will only stay with them for 6 weeks before making their own way in life. We also had an hour and a half to explore the shores of the Loch in one of the most peaceful and spectacular places I have ever been. 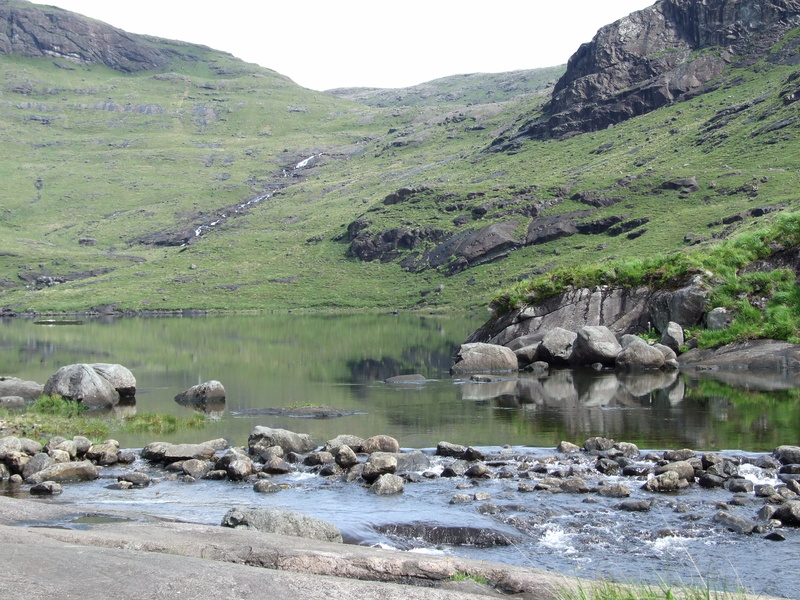 This Land locked Loch is truly spectacular, surrounded by 12 peaks of the Cuillin ridge. The afternoon took us to another castle, Armadale this time, the home of the clan Donald, where we had a lovely look around the grounds and museum, before heading for a Fish and Chip meal in Portree before the rain set in, and set in it did, causing us to take the decision to head across the country to Fortrose on the Black Isle. Stopping off at Castle Urqhart and the Loch Ness visitor centre on the way. I knew that Loch ness was big, but didn’t realise quite how big. There is more water in the Loch than in the whole of England and Wales put together and it is big enough to drown every single person in the world. There is also very little life in the loch, certainly not enough to sustain a giant monster. 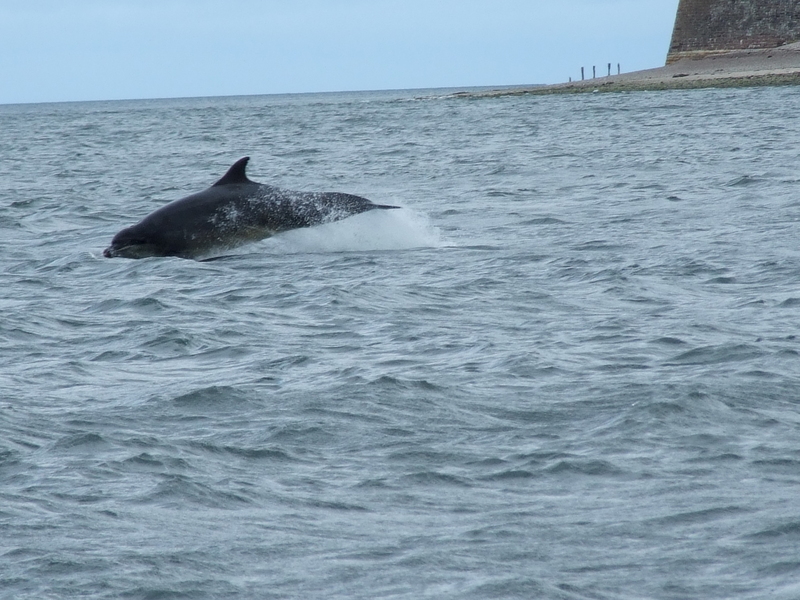 We pressed onwards towards Fortrose where there was an outside chance that we could see Dolphins from the Beach. How lucky we were then that we did see them, not only in the evening, but when we went back in the morning as well. A Pod of about 15 were playing about in the entrance to the Moray Firth leaping about and throwing fish to each other. It is quite spectacular to see this wildlife so close to the shore (about 15-20m away) and in the end I decided to put my camera down as I wouldn’t actually get to see them apart from through a view finder. We left Fortrose very happy, but sad to be leaving. We had a B&B booked for the evening, but H and I decided to do something that I had wanted to do since I was a small child. We went to see Ospreys. Sadly we didn’t see them hunting for fish, but we saw their nest and chicks thanks to the RSPB centre at Loch Garten. I was totally thrilled to be able to see my favourite birds in the wild. 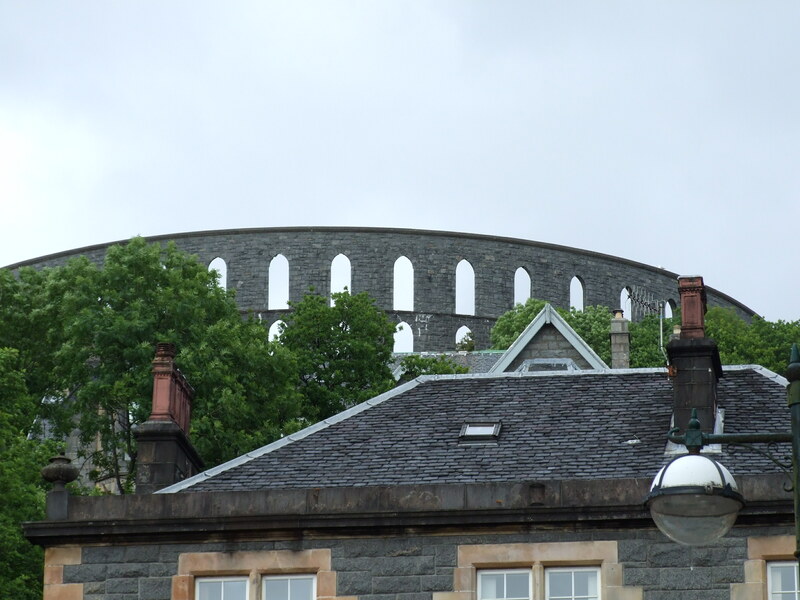 Our time in Scotland was coming to an end and after a quick trip to Stirling Castle we headed home. 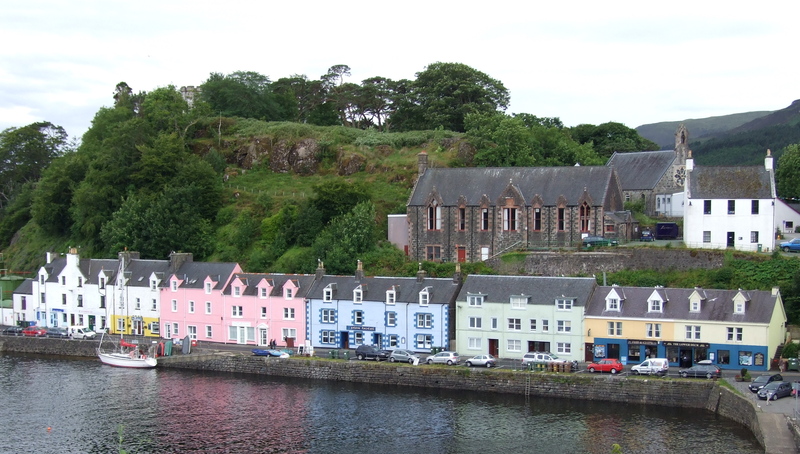 I loved Scotland, and I really want to go again, hopefully in the dry next time. There is some spectacular scenery and amazing places to go, not all of the foods is deep fried either. All of my photo’s are available on Flickr. The journey to Applecross was one that I was looking forward to. 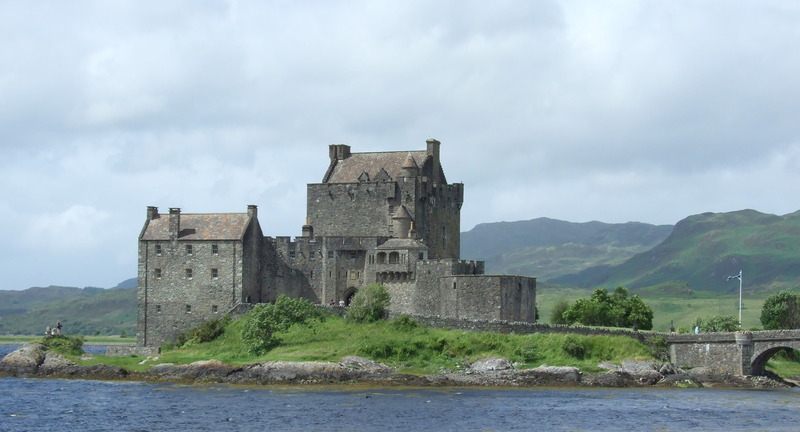 Not only would we be travelling past Eilean Donnan Castle but we would have to travel over Bealach nam Bo (Cattle Pass), the only true Alpine Pass in the country according to the Applecross website which rises over 2000ft within 6 miles. As someone that loves driving it was an exciting prospect especially as we had been warned against doing it. 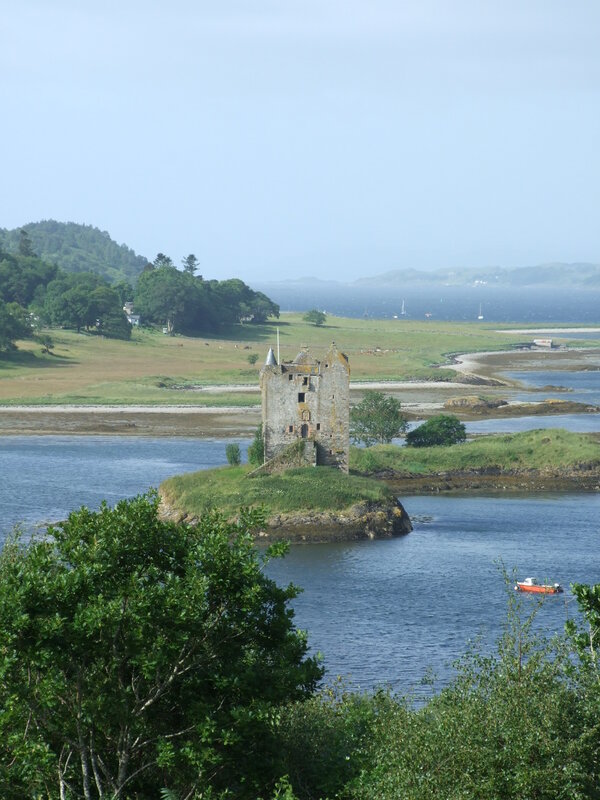 We left Oban early to avoid the rain and stopped a few times on the way, once so that I could take some photo’s of the Balachullish Bridge and another time so that we could look at Castle Stalker, a tower based castle on its own island, that you can only visit 4 days of the year. Still day dreaming about living in a castle, we headed for the dreaded “Cattle Pass”, which I have to say I loved driving over. Even though I dislike H’s car it did very well on this road proving nimble and lively round the hairpin bends, even allowing me to catch and overtake a few people while they stopped in passing places. The weather was grey and foggy which meant that there was no view, but what little glimpses you could get were spectacular. We arrived at Applecross in the sunshine and set up our tent before having a walk down to the beach and a couple of pints in the Applecross in before deciding that we would eat there. Once we had decided to eat the food was excellent, well worth the awards for its seafood. I have never had oysters before, but these were good, as were the Applecross Prawns. The following day the rain was torrential, but we still decided that a walk would be a good idea, so we had a walk around the Applecross estate and sat by a lovely waterfall for a while as the rain stopped. We were in good spirits though as in the afternoon we had a camping pod booked and we could be dry for the evening. 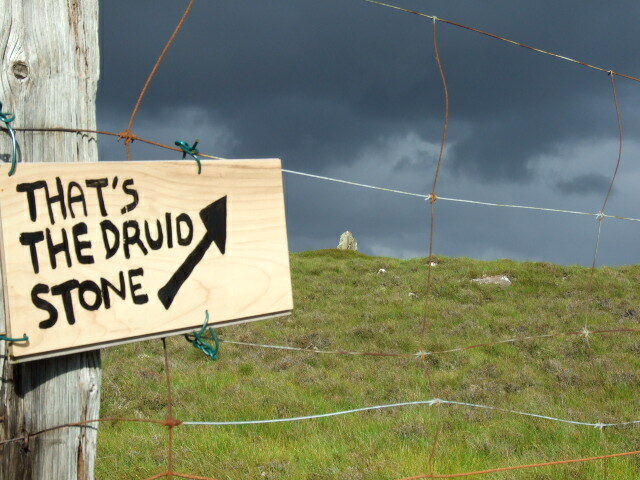 Once the sun had come out we decided to go for a drive around the peninsula where we saw the Mesolithic cave dwellings, a Druids stone and some spectacular scenery. I really do recommend Applecross, but only if you can guarantee some good weather. I have just returned from 11 days in Scotland which is beautiful, but rainy (as everyone told us, the week before was lovely). We started out on the Sunday morning and drove the 860 miles to Drymen by Loch Lomond. We arrived in a torrential downpour, which soon subsided and gave way to a force 10 gale. This didn’t put us off though, we put up our tent and then had a look around part of the lake, even in the wind and the rain, it’s rugged beauty shone through. We had a pint in the Oldest Licenced pub in Scotland, and headed to bed shattered from the early morning and the driving. 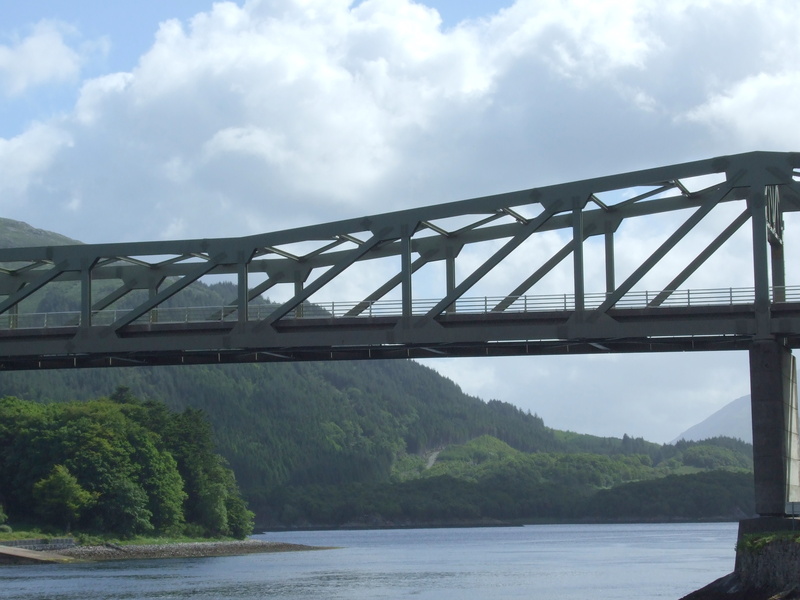 Due to the weather we had decided to move on the next day, just as the sun came out and we headed towards Oban, stopping at the pretty little village of Luss, on the shores of the Loch. From here we headed up towards Oban, stopping at Loch Fyne to try and go to the Oyster shed, which turned out to be closed. Instead we had to make do with going to the Brewery and purchased some of the local ale, Pipers Gold, which was very nice. Getting to Oban we managed to find our campsite quite easily and pitched up before heading into the town. We visited McHaigs tower a strange folly built on the top of the hill overlooking Oban, which from a distance looks the size of the Colesseum in Rome. Being interested in the Local Food and Drink as we were we had to take a tour around the Oban Whisky Distillery, where we received the low down on how to make the stuff. I must say that I am not a fan, of any Whisky, so the taster we got came as a bit of a surprise when I actually liked it. The 10 year old goes quite well with a piece of crystalised ginger. Later that evening H also tried Haggis for the first time and we both enjoyed the starter of Haggis, Neeps and Tatties. We must have picke a comfortable pitch as we both slept well, which was just as well as we were headed for a longish walk around the small Island of Kerrara. To get there you have to take the small ferry. 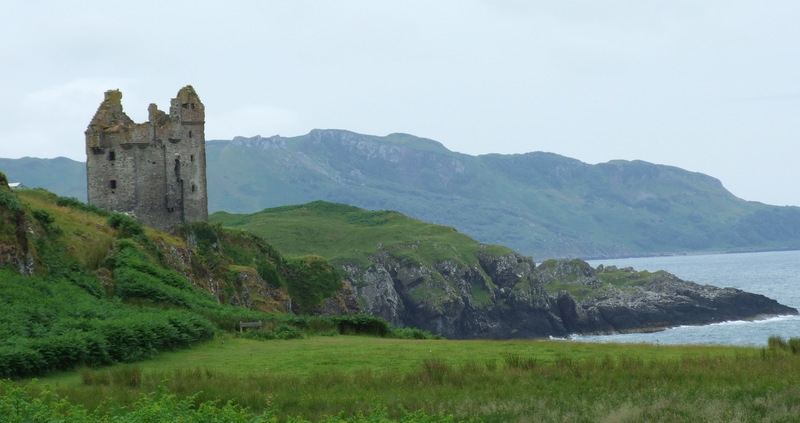 We were told that there was a Castle and a Seal Colony there, so it was quite exciting. We saw the ruined castle on its rocky outcrop and had a look around it, which was rather fabulous, we didn’t see any seals though. 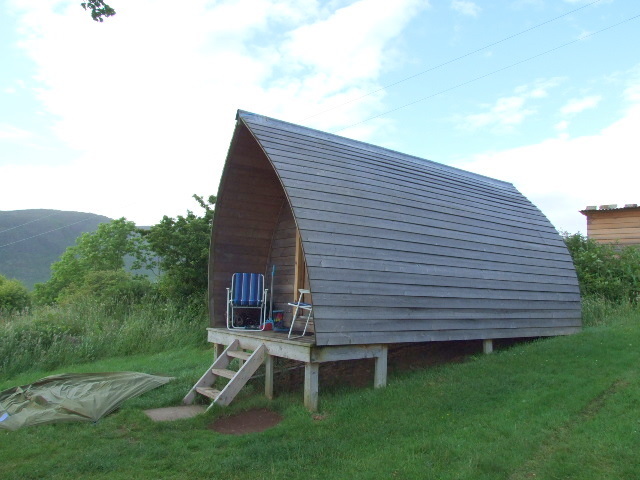 The next day we moved on to Applecross, but that will be in Part 2. 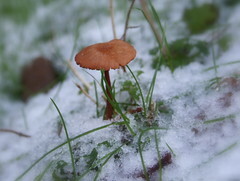 Its a bit cold outside, so I thought that I would post this picture that I took yesterday on mine and H’s walk around the woods. Today the square around my flat is like an ice rink, I actually skated to my car, but I wish that it would snow properly. Also, I have now started a seperate Flickr Blog, which is available here.